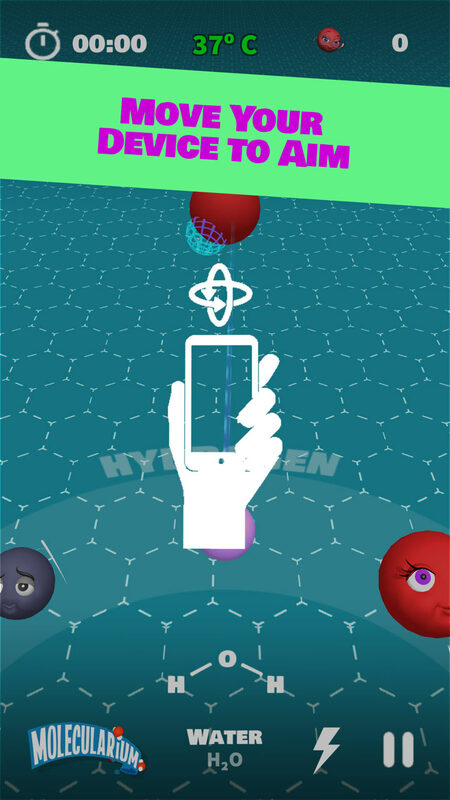 My Molecularium theme music plays. 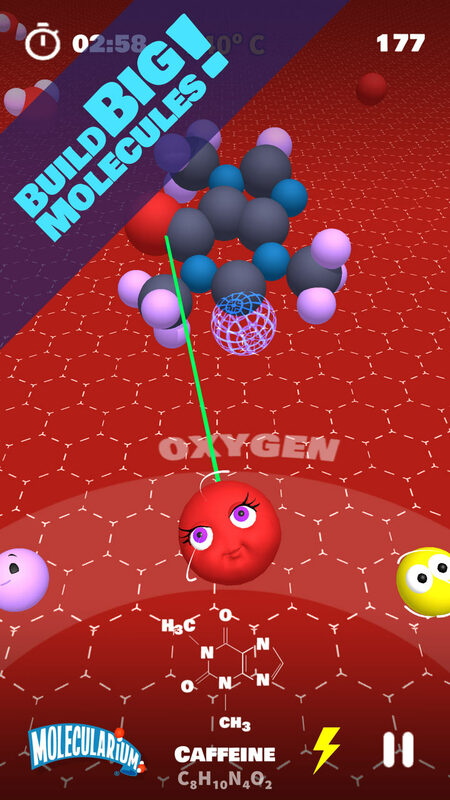 My Molecularium is a fun and challenging molecule building game. 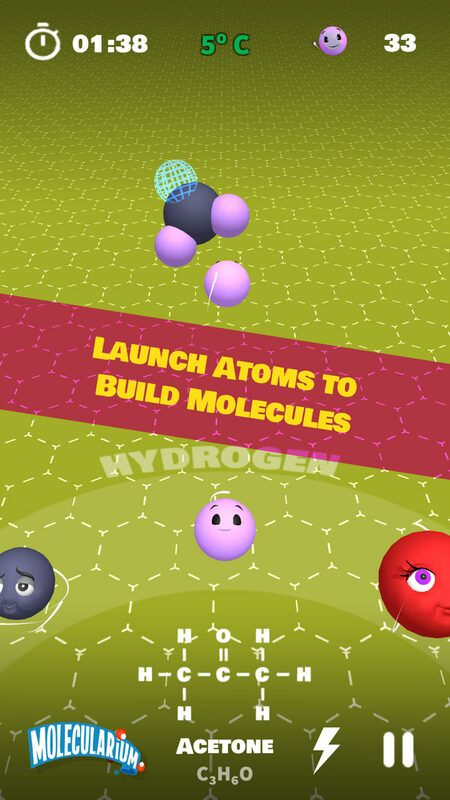 Launch atoms at target bond sites to assemble essential molecules of increasing complexity and difficulty. 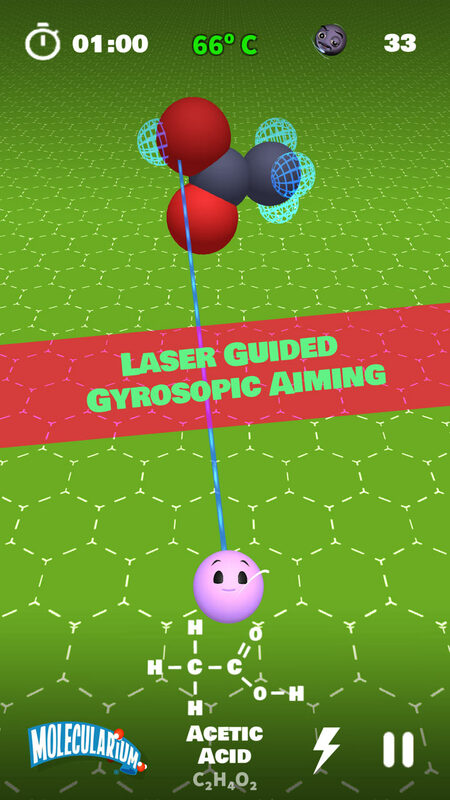 Move your device to direct your shots using our innovative laser-guided aim. 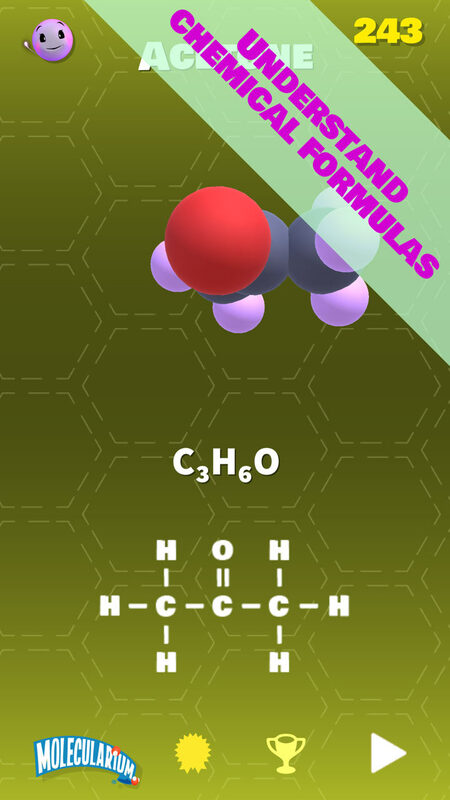 Learn to use the chemical and structural formulas to help you build a wide range of important molecules, from water and vitamin C to caffeine and adrenaline. 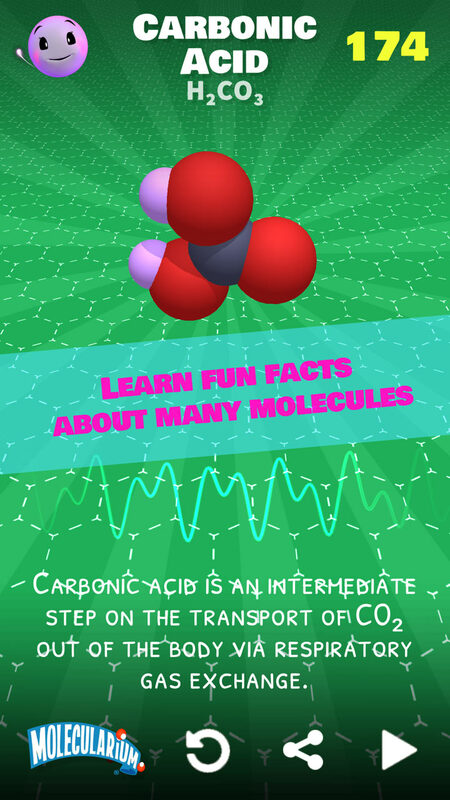 Have fun learning about molecules as you play.